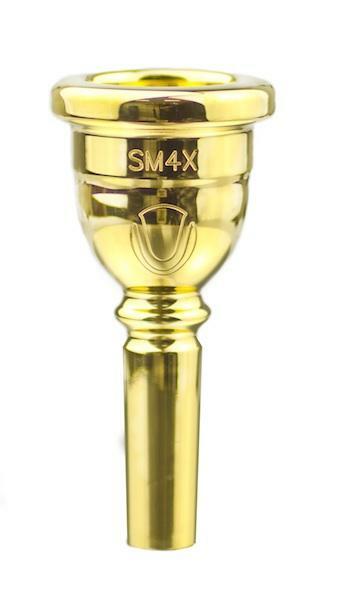 Very positive reactions have been coming into the new Ultra X mouthpieces that were launched in the middle of October on the occasion of the National Brass Band Championships in London. They really seem to have hit the spot, with both amateurs and professional players. Reviews have been coming in from musicians that have tested it over the last weeks, and everyone seems very satisfied indeed! 1. I am speechless! I have just had an hours practice and the mouthpiece is quite incredible! It is so comfortable to play, almost feels like a cushion? The sound is soooo big! It is deeper than the John Ridgeon which did worry me but it is just a pleasure to play on. The upper register seems much clearer and in tune (I did brush out the mouth pipe as discussed). Now I am frustrated that band night is Friday and not tonight! I am so looking forward to it. 2. I have successfully played top D's at home (I've always had a mental block with anything above a C) and they just happened...... I've not yet had the opportunity to play that high in band practice yet. I think that my new Ultra X mouthpiece and I are going to be the best of friends ! 3. Thank you for the new Ultra X mouthpiece! It is amazing! It really makes everything easier - i never felt so at home on a mouthpiece! and right from the beginning! i already used it in a concert on the first day The mouthpiece is really fantastic! Not only the high register becomes much easier, but amazingly enough also the low playing. And the tuning! The sound is more centred, too, and without loosing fullness. I am totally happy and excited. I think the mouthpiece helps me to play more relaxed in general. I was really surprised! I expected it to be good, but I did not expect that there is so much difference and so much improvement! 4. The new Ultra X is incredible. I've never had a mouthpiece that performs across the entire range and beyond as this one does. Very comfortable and doesn't leave you with the fatigue that a large mouthpiece normally does after an hour's practice. I can go for ages on it and then some. Thanks Steve for this. 5. The Ultra X is a great new mouthpiece. It feels very similar to the original SM3, but benefits from feeling lighter on the lips. This has resulted in my stamina increasing. I have also found it easier to keep an even sound throughout the range, into the higher register. 6. The main thing I find is that it's still easy to play, even after a long rehearsal - my stamina seems to have come on a lot, even after only having it for a week or so. The high notes really come out easily, and obviously, like the previous Ultra, it's extremely comfortable to play on. There also seems to be some extra power throughout the range, even from the previous Ultra. 7. The mouthpiece was superb in band tonight heavy practice with different music so a good test . Much cleaner clearer sound but still very full and rich . easy in the lower and upper register with fabulous clarity and intonation so far a step up from the ultra and I am sure it can only get better. Thank you. 8. I have played the new SM3X for about a week now, and coming from the previous (and excellent) SM3U it is a definitive improvement. My top register has improved in clarity, and the overall tone quality, slotting and precision is even better than the Ultra. The mouthpiece feels much more comfortable and "softer" on the lips. Endurance was not a problem on the previous Ultra, but it may have become even better now. Thank you very much, and keep up the good work! 9. I love this mouthpiece! I have had it for less than a week now and find that it does really help my endurance and confidence. I used it today for a rather demanding (demnding in my performance world) and was more than satisfied with the results. The SM3U I have been playing for most of the past 2- 1/2 years is marvelous, but the SM3X adds a whole new level of enjoyment and possibilities. I know you developed this mp to help with your very demanding performance requirements, but for those of us "enthusiasts" that can't play several hours a day...the "X" series is a marvelous and very potent option. After playing now about one week on it I can say, that this is the best mouthpiece I've ever have played on. I didn't have any problems changing from the SM 3 Ultra to the SM 3 Ultra X, I felt at home from the very beginning. My sound has become more centered, I don't need pay attention as much as before on it, even and especially in my deep notes. The "problem"-notes like e.g. high c sharp are much easier to play centered and better in pitch. I don't need as much energy for my high notes than before. Also the control of the air seems to be easier. Everything has been improved without doing more from my side! 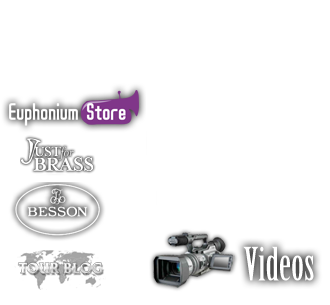 So, visit www.euphoniumstore.net to see which one is suitable for you. We keep all models of the 'SM', 'Ultra' and 'UltraX' ranges in stock.